It’s hard to argue the spectacular run that Chicago had for most of the 1970s. During that decade, the band from the Windy City generated consecutive hit albums and singles on the charts—that output alone is enough to warrant Chicago a serious nod for Rock and Roll Hall of Fame consideration (and that’s not counting for the music they continued to make for the next four decades). There’s no question that Chicago achieved tremendous success from 1969 to 1978, which is the spotlight of this new boxed set from Rhino, featuring the first 10 studio albums. Those records introduced the classic lineup of Robert Lamm, Terry Kath, Peter Cetera, Danny Seraphine, James Pankow, Walt Parazaider and Lee Loughnane—a unique configuration that consisted of a three-piece horn section, three lead singers, and predominantly four songwriters. It’s hard to pin down what the definitive Chicago albums are depending on you who ask, but certainly the first three albums (Chicago Transit Authority, Chicago and Chicago III) remain truly remarkable, not just because each of them were double albums, but they were so ambitious and innovative in melding progressive jazz rock and pop music—a far departure from Chicago’s ’80s power ballad era, The songwriting then was mostly dominated by Robert Lamm’s politically/socially-conscious lyrics on those early albums. Starting with Chicago V, each of Chicago’s subsequent albums shed the progressive rock leanings. In fact, some of those compositions on the first three consisted of extended suites and jamming that stood side by side with the beloved singles that have been band staples (“25 or 6 to 4,” “Beginnings,” “Doesn’t Anybody Know What Time It Is,” “Colour My World,” “Make Me Smile”). and aimed toward a more mainstream pop sound, but all in all solid and consistent with the brass section still in the forefront, while the hits kept coming: “Saturday in the Park,” “Just You and Me,” “Feeling Stronger Everyday,” “I’ve Been Searching So Long,” “Wishing You Were Here,” “Call on Me,” “Old Days.” Chicago X is where the band really reached its commercial apex at the time thanks to the Peter Cetera-written ballad “If You Leave Me Now” that Chicago’s first number one song. But 1977’s Chicago XI marked the end of an era as it featured singer/guitarist Terry Kath – regarded as the heart and soul of the band – for the last time on record; he died the following year from an accidental self-inflicted gunshot. Even today, it’s tough to hear the songs that he was featured on, such as on the rocking “Mississippi Delta City Blues” and the beautiful ballad “Little One “ without thinking of his tragic death in context. To its credit, the band carried on with the next album Hot Streets (sans the Roman numerals in the title), as indicated on the semi-autobiographical “Alive Again.” Along with the hits, there’s a lot of underrated songs to discover from this set, like “Alma Mater,” the lovely “Never Been in Love Before,” “Something In This City Changes People,” “Critics Choice,” the fiery rock track “Poem 58,” and “Brand New Love Affair.” The Studio Albums 1969-1978 perfectly encapsulates the decade in which Chicago ruled, and is tailored for the early die-hard fans of the band. (Unlike the 2003 reissues, there are no liner notes or artwork in this new set as each of the album CDs are housed in cardboard sleeves). 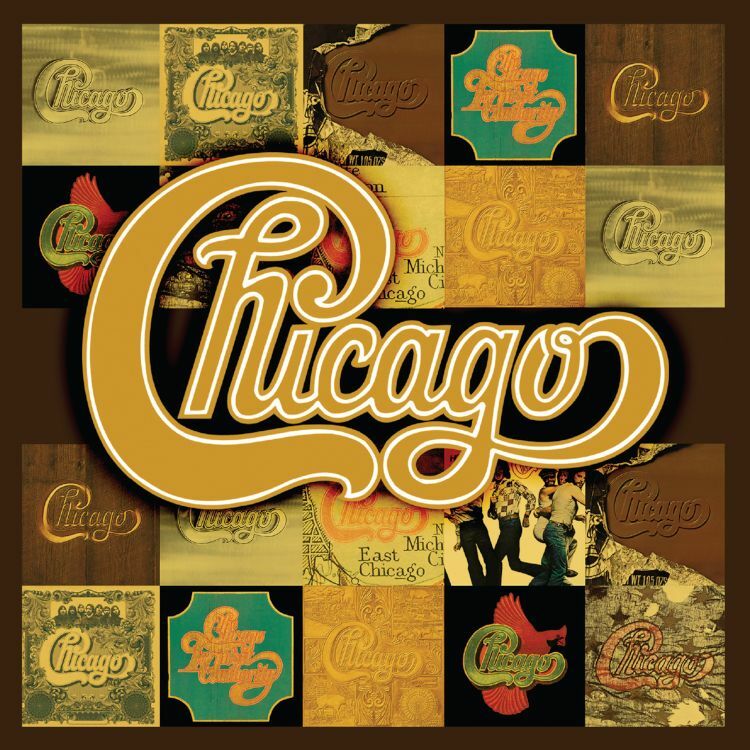 There’s no doubt that Chicago’s best memorable work came from this productive period in the group’s nearly 50-year career.